Thailand is known as the Land of Smiles, due to the welcoming attitude of the Thai people towards visitors and you will invariably be greeted by Thais with a warm smile. This fascinating and exotic place where tradition and modernity mingle is one of the most popular tourist destinations in the world, due largely to its diversity. 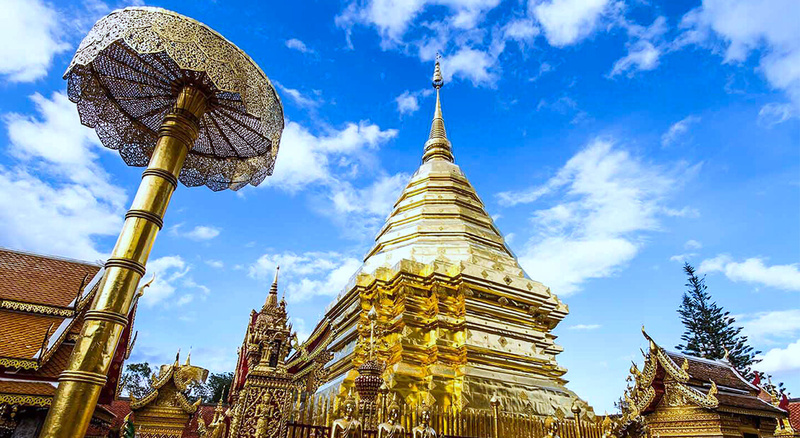 The country offers an irresistible combination of spectacular natural beauty, friendly local people, fascinating cultural heritage, untouched hill tribes, exquisite food, relaxing spas, and historical attractions like ancient temples, royal palaces and museums. 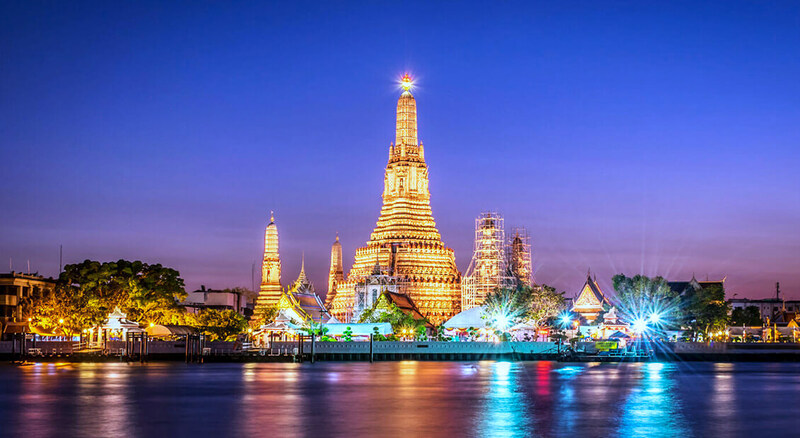 You can enjoy a relaxing holiday in beach resorts such as Pattaya, Phuket, Ko Samui or Ko Phi Phi; visit the ancient cities of Sukhothai and Ayutthaya; or trek to hill tribes in Northern Thailand, especially in Chiang Mai or in Chiang Rai. 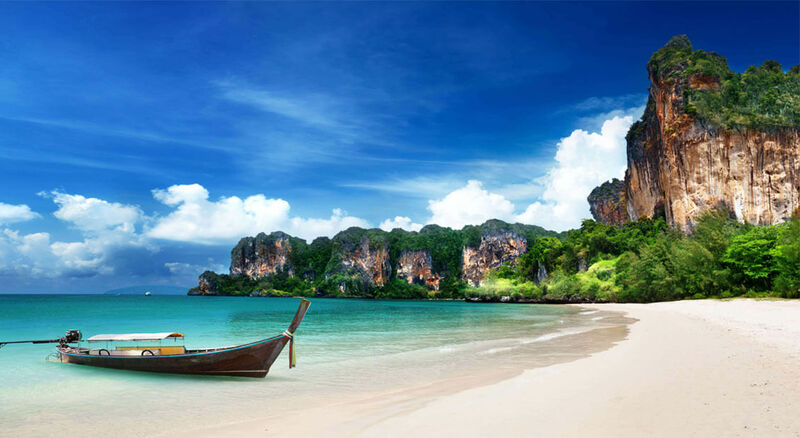 Thailand has choices for everyone, whether you are an intrepid adventurer or you are seeking a luxurious vacation. There is an abundance of natural resources: white sandy beaches, coral reefs, clear-blue waters, islands, tropical jungles, high mountains, green fields. Outdoor sports abound, especially water sports like sailing, paddling, diving, and snorkeling over coral reefs. To get more in touch with Thai culture, you can also practice the classic martial art of Muai Thai. And if it’s urban adventure you’re looking for, there is the hustle and bustle of Bangkok and the party islands of Koh Phangan and Phuket. And don't forget the food! A culinary adventure awaits with tempting morsels on virtually every street corner, from traditional Royal-project run restaurants to delicious piping hot street food. Eating is as much a part of Thai culture as anything else and definitely the key to local hearts. If you're lucky enough to catch a local festival, it will probably be dominated by food. 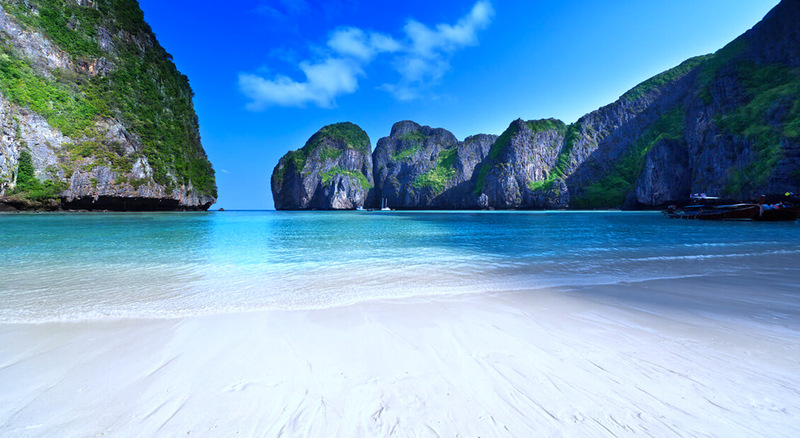 At Cayman Travel we can help you make your tour of Thailand as serene and peaceful or as colorful and fast-paced as you’d like.